The Gilman indoor track team, which won both the Group Meet title and the MIAA Championships last winter, opened its title defense with a strong performance, Thursday afternoon at Loyola Blakefield, scoring 114.8 points in the first Group Meet of the new season to easily outdistance second place Mount St. Joseph. Under MIAA indoor track rules, each team receives one point in the standings for every team which finishes ahead of it in the group meets, with the least number of points appearing higher in the standings. Thus, Gilman comes out of the opening meet with 0 points in the standings and holds first place. There are four Group Meets scheduled prior to the MIAA Championship on Jan. 18. In winning the meet the Greyhounds got first place performances in the 55 meters (Nico Gonzalez-Reed), 500 meters (Garrett Shriver), 800 meters (Keith Roberts), 3,200 meters (Charlie Edwards) and its 4×800 meter relay team. Mount St. Joseph was second overall with 72.5 points. The Gaels won just the 55 meter high hurdles (Kahri Barfield), but placed in the money in nearly every other event. Archbishop Curley scored 63.3 points to take third in the 14-team field. The Friars got event victories in the 1,600 meters (Will Hanna-Leverett), the high jump (Ethan Mull) and the shot-put (Sam Burke) to do most of their scoring. 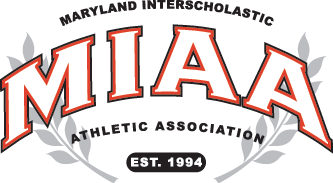 Other event winners were Dhane Blair of St. Mary’s (300 meters) and Archbishop Spalding’s Brandon Shin (pole vault), as well as Loyola’s 4×200 relay and Calvert Hall’s 4×400 relay.